Being a stage actor and directing a play are two of the best professions ever. The ability to get a connection with the audience through a dimly lit venue, and even making eye contact is a priceless experience. Avi Hoffman is an actor and director, whose latest emotional roller-coaster performance is inarguably one of the best I’ve seen on stage. During the Ashkenaz Festival in Toronto, I had the great pleasure of having a chat over the phone with the versatile Avi Hoffman, who brilliantly revives Arthur Miller’s iconic play “DEATH OF A SALESMAN”. MOVIEMOVESME: What is it about this play you found most interesting that you decided to not only direct it but also play the lead role? Avi Hoffman: Death of a Salesman has been recognized for decades as one of the greatest American plays ever written. It’s been produced all over the world in many different languages, in many different cultures. The story is universal, the idea that people who are in a culture of trying to succeed in some way into the business culture or society is universal. The thing is that some people succeed and many people fail. I think that the reason the play has become such an iconic piece of drama is the idea that this is something everybody struggles with. In our context, because we’re doing a Yiddish-Jewish piece, and in our interpretation, this is a timeless piece. The refugees from Syria, Iraq and from all over the world want to come to North America to try and make a living and desperately try to find a way within a capitalist society and very often fail. To me that adds like an enormous pathos to the piece and to the character. MOVIEMOVESME: How did you prepare yourself for the main role? Avi Hoffman: Like every role I’ve prepared for I have to examine the emotional, historical, social, spiritual and the philosophical elements of a character. My preparation was not really different than any role I might prepare for. The only thing I wasn’t prepared for was how incredibly demanding his world is. It’s a devastating character for an actor to play and I’ve chosen to play him in a way very few actors who’ve played the role have done. I’ve added the element that in addition to his failures as a salesman, husband and a father, also is struggling with dementia. He is dealing with the fact that he is no longer living in reality. It goes back and forth, in and out of realities. This makes it one of the most difficult roles I’ve ever had to tackle. MOVIEMOVESME: How did you manage to find the balance between directing and playing the lead role? Avi Hoffman: I’m very privileged and lucky that I’ve been directing myself in plays ever since probably the early 1980s. I’ve just found that very often I’ve a certain vision of a piece and the best way to do that is to direct myself. So I’ve learned to be able to see what’s happening even when I’m on stage; the lighting, the setting, the visuals, the stage, the sound, the actors. This is something I’ve been doing for a very long time, for over 30 years. I’ve kind of trained myself to be able to do both. I feel that my understanding of this particular piece has given me the ability to do both. MOVIEMOVESME: What’s the best thing about being a stage actor compared to being a movie actor? Avi Hoffman: I’ve been on stage from the time I’ve been a very young boy and what I love about it more than any other medium is the immediate connection to the soul of every human being in the audience. I think it’s an enormous privilege that we actors have the potential to actually touch people in their heart and soul and make them feel, think and give them the opportunity to put aside their everyday life for whatever amount of time they’re in the theater. The responsibility that we actors can get on a stage and cross the divide between the stage and the audience and actually touch people in their heart and allow them to feel things in ways they never have thought of before. I love to be able to bring people to tears, make them laugh, make them feel deep emotional states. It’s an amazing feeling and I hope I can do it for the rest of my life. I love films and TV but they’re a very different kind of medium but it’s not immediate, you have no connection with the audience. MOVIEMOVESME: Day after day you have to perform the same character but each time it’s different. Is there something new you learn about the character in this process? Avi Hoffman: Absolutely! Every day is a new discovery. Every time I go on stage I need to recreate the emotional, the physical, the real. Everyday I have to find him again and every time I find him, he finds me! It’s interesting there are times when I’m on stage performing him and I feel that he takes over and I allow him to take over to develop me. So it’s a very symbiotic relationship that an actor has with his character and the only way to make it real is to allow to be new. Every performance is a new experience, has its own rhythm and it’s an interaction between all the other characters. When I speak to Linda, the wife, every time it takes on a different dimension. When I’m with the son, we both discover new every single time that forms the piece a bit more. It’s a very difficult process but a very rewarding one. MOVIEMOVESME: The scene where you hug your son Biff is very emotional. I would like you to talk about your collaboration with Daniel that allowed you to bring that chemistry on stage. Avi Hoffman: It was very easy because Daniel is an extraordinary and talented man; not only as an actor but in his vision. He is doing several other events as well. When you work with that level of talent it becomes very easy to collaborate within the context of this kind of work. Every person I know has issues with their parents one way or another. I have an issue with my father; most sons have issues with their fathers and mothers. 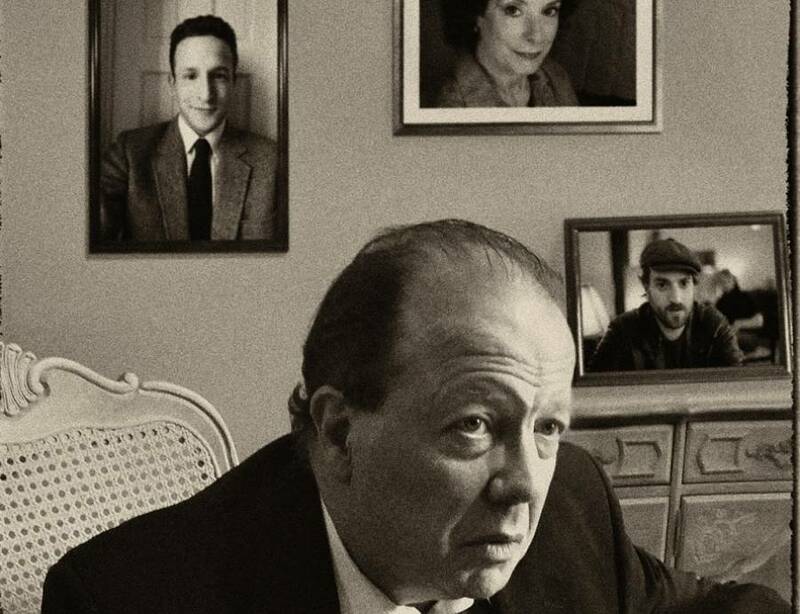 What’s fascinating is that when Arthur wrote the play he wrote it to be a Jewish family but in 1949, when he wrote it, the situation was so invasive in the US that he couldn’t really portray them as Jews. I think in our reinterpretation of the piece, not only Jews but also immigrant Jewish family, Daniel and I coming from those kind of backgrounds of holocaust environs, we were able to really explore the depth, not only of the language, social strata, immigrant experience but also the relationship between a father and a son and the difficult dynamic. Biff blamed his father his entire life but he loved his father because we love our parents even more than we hate them and I think that is the brilliance of Arthur Miller.